"Since when you have considered scandal to be a bad thing." Bleecker Street Films has released the first official trailer for the indie drama Colette, which first premiered at the Sundance Film Festival earlier this year. 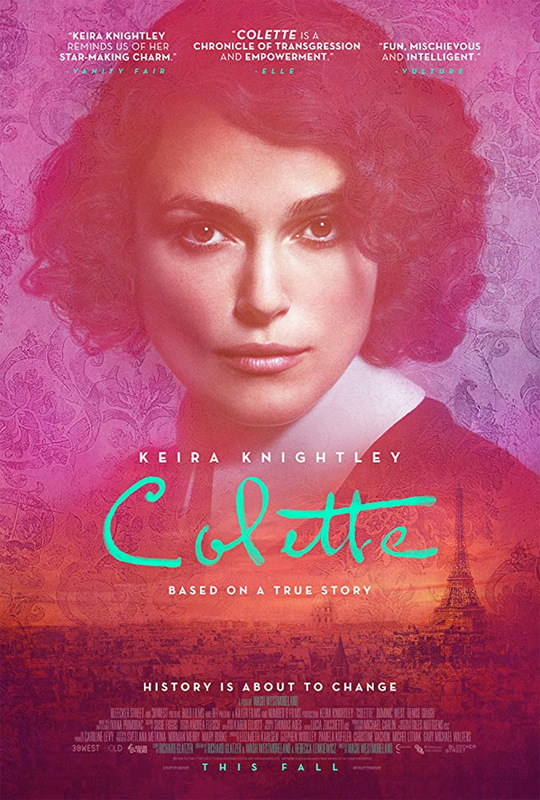 Colette is the latest film from filmmaker Wash Westmoreland (Quinceañera, Still Alice) and it stars Keira Knightley as a talented author. She marries a successful Parisian writer, who asks her to help ghost write for him. The novel she writes becomes a huge success, but she struggles to maintain her name known as the original writer, fighting against gender norms and stereotypes. The full cast includes Dominic West, Eleanor Tomlinson, Fiona Shaw, Ray Panthaki, Aiysha Hart, Denise Gough, Robert Pugh, and Masayoshi Haneda. This looks like an empowering story of feminism and sexuality, for sure. Take a look.